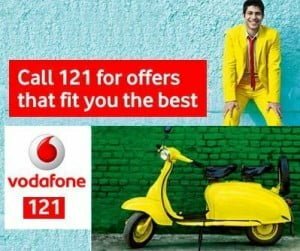 Last week, Vodafone and Orange have shown us its novelties in mobile internet rates for contract and now has had to review the conditions of prepaid card users. Vodafone relaunches officially its Tarifa flat Intenet in the prepaid wireless changing some of the above conditions but keeping the advantages of not having traffic limit or connection limit. The speed will not be limited whenever connect you through the profile “Vodafone live” (with APN airtelwap.es) and as a novelty, if connect through the ‘Internet’ profile (with APN airtelnet.es) now does not cost you anything more but if speed will be reduced to 128 Kbps in case exceed 20 MB/day. The price happens to be of 50 cents per day Although it will be necessary to keep it activated the tariff for a minimum of 7 consecutive days and then It shall be renewed automatically every day until the client requests to deactivate it in the 123 instead of having to activate it every week as it was the case so far. If the customer It has no balance at the time of the daily fee, He will assume the usual 69 cents per connection cost while charging along on the same day. Once the customer recharge and can be charged the daily fee, will be automatically enjoy the benefits of the rate flat. In any case, always inform the client via a SMS from the change in the mode of collection. This rate may be high by sending a free SMS with the text TPTARJETA 22521. In addition, the bonus of 35 weekly connections by 1.90 euros per week will be available. After the change of conditions, Vodafone more expensive 3 euros fee if you use internet all month although for more sporadic users new pricing can be profitable and also adds the convenience of daily automatic renewal and the inclusion of Web browsing without additional cost. Orange in turn has lowered the Weekly bonus of Internet Everywhere prepay to navigate from computer with unlimited traffic (speed limited to 128 Kbps from 1 GB) during seven days for 12 euros (plus VAT) against the 16.40 (19 euros with VAT) it cost so far and the 3.36 euros (3.90 euros with VAT) cost the daily rate.